Michelle started doing makeup right out of high school after she was mentored by one of the top makeup artists in Los Angeles. She quickly found herself working on models and actors for the Ford Agency and Miramax Publicity. As her reputation grew, Michelle was requested to do the makeup on certain actors for The Academy Awards, The Golden Globes, Entertainment Tonight, Good Morning America, etc. She was also on-call makeup artist for ABC-TV in New York City for 2 years, where she did the makeup on many talk show hosts as well as the news anchors on World News Tonight. She has worked all over Los Angeles, New York, and Miami with photographers specializing in print and editorial advertising, videos, catalog, beauty, weddings, celebrity, fashion, and male grooming. 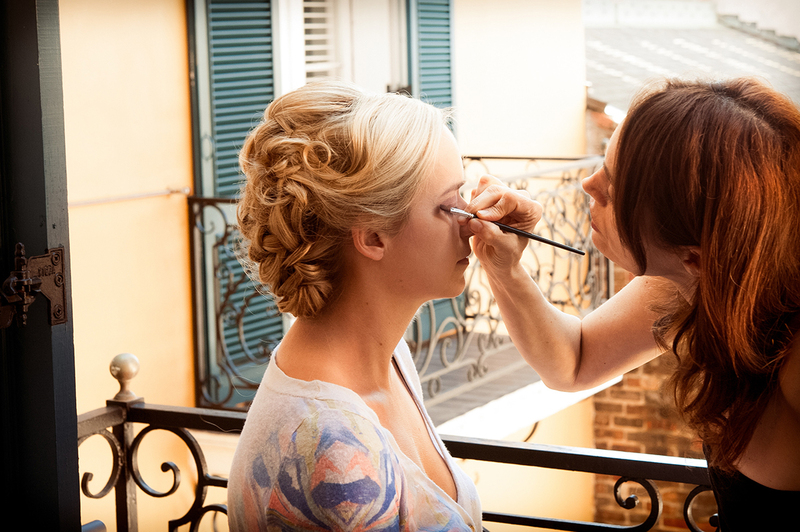 Michelle is also a highly sought after event makeup artist and has a large following of New Orleans women who trust only her with their beauty needs – whether it be creating a look for a Mardi Gras ball, applying a clean and classic look for a Debutante ball, designing a brides makeup for her wedding, or doing the makeup for a special party. Michelle’s work is about finding the balance between looking beautiful on camera and flawless in person. She finds unique beauty in every woman that sits in her chair and her work focuses on creating flawless, luminous skin that glows, as well as bringing out a woman's best features, always making the eyes radiant. Michelle's theory on makeup is making you look like you, but on your very best day.